Zimbabwe is a member of the International Table Tennis Federation (ITTF) and African Table Tennis Federation (ATTF) but the Southern African nation is not making its presence felt on table. But by sheer determination, 32-year-old Brian Chamboko is ready to raise the flag of Zimbabwe at the 2019 African Games in Morocco. Aside aiming to be part of the party in Morocco this year, Brian Chamboko cannot underestimate the virtues that he has picked up from playing table tennis. 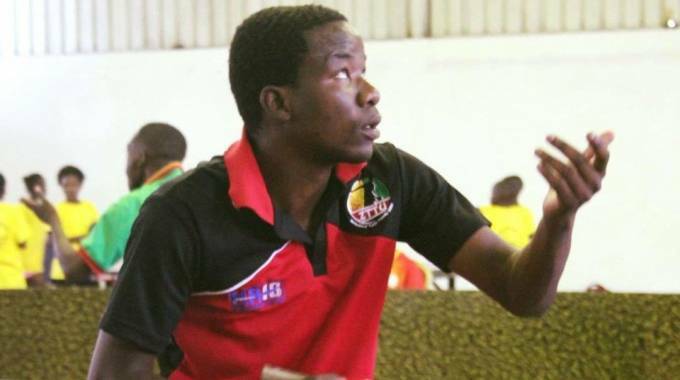 In an article published in the Sunday Mail of Zimbabwe, Brian Chamboko was described as a lover of table tennis as the sport epitomizes ‘everything’ for him. “Table tennis has even given me table manners,’’ he told the Newspaper recently. In the last 10 years, Brian Chamboko has been among the Southern African nation elite players, while his rivalry with his ‘good friend’ Vikram Singh could be one of the reasons the game has survived this far. According to Sunday Mail, the rivalry has been described as a ‘blessing’ to the local game. “On the table, Vikram is my number one enemy, we always bring out the best in each other. “We do not have running leagues, we are solely dependent on provincial tournaments, and the Zimbabwe Open and Zimbabwe Closed tournament are our only big tournaments. The prevailing financial challenges have obviously affected the game and there are some corporate bodies and individuals playing for social, but my wish is that we all come together and have proper leagues running,” said Brian Chamboko, who is also part of Zimbabwe Table Tennis technical team.